The loading speed of your website is one of the crucial questions that must be asked, especially if it is a commercial site where users do not linger if it is too slow loading. The loading time of your site will not only make a difference to your users, but also in the eyes of the search engines use this information to determine (in part) your ranking (ranking of your site on the web). This is why it is important to maximize the minimum loading speed of your pages. There are already a lot of advice on how to optimize your website, if you have a site with lots of content and traffic, you will spend time on this optimization to make it effective. If you have a small site, some small improvements largely sufficient to increase speed of loading. We love all the plugins (when they do not plant our website ), they often facilitate the work and thus allow us to go faster or do things that we would be unable to do it alone. But we must not forget that our plugins overload while some could be replaced by a simple function. Each plugin unless you have installed, a little more ease loading speed of your site. * Install only the plugins you really need and that you will use. * If possible, always test your plugin on a test server before using it on your site. * Disable and remove the plugins you do not use. * Do not use a plugin when you can replace it with a simple code. Whenever someone visits your site WordPress , charging it on the computer all the information needed for your web page to be displayed. Only all the data from your pages do not need to be reloaded in full each time. The cache can store your computer data unchanged (your logo, footer, header ...) and thus reduce the load time of your pages. Cache plugin is a key element to install if you want to optimize the speed of your site. There are various plugins cache and it can be difficult to make a choice. This choice will mainly be based on your needs. * WP Super Cache - A cache plugin for all types of sites. * W3 Total Cache - A similar plugin WP Super Cache, the thing near it is still more things! Very useful for large sites and advanced users. This is a far from easy task, especially when one knows not much in terms of accommodation. Many beginners choose to start with a free host or very cheap, for fear of embarking on a big investment too. You should know that decent accommodation will not cost you a fortune (unless you plan to start with thousands of visitors per day), and it is sometimes better to add a few euros more, rather than ending up with a hosting which will malfunction and will not respond to your needs. It will take between 2 and 25 euros per month for a decent accommodation. How to choose the right hosting? 1. A good thing to do is visit the site WordPress that will give you some recommendations. 2. Nothing better than word-of-mouth! Talk around you parts and feel the ground with the feedback from your friends or on specialized sites. Personally it is some years since I used servers 1and1 that work very well and very interesting prices. They often offers attractive starting with the first 6 months free. 3. Always choose a hosting server with Linux , Windows servers often cause a lot of problems during the installation site WordPress . 4. 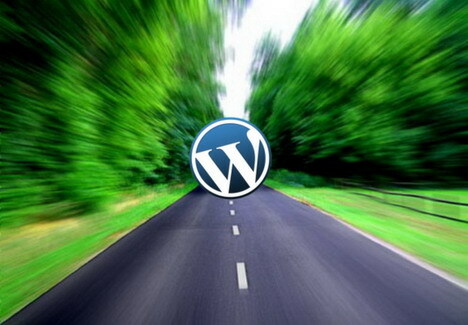 Make sure the chosen accommodation has many configurations minimum to run WordPress . An obvious thing but still not always taken into account is the size of images that you place on your site.There is no need to load images at 300 dpi and 1000 x 1000 pixels. A large image, greatly slow loading speed of the page on which it is located. Always optimize your images before you upload them to your site. A resolution of 72 dpi is more than enough and do not exceed 700 x 700 px. Most of your sites WordPress , if they contain a column will not exceed 600px wide, no need to make bigger! Whenever possible do not hesitate to upload your videos to sites like YouTube or Vimeo rather than directly on your server, then include them on your site. Beyond the gain in loading, placing videos on external sites will also allow you to increase your traffic source. 1. Choose a theme with a CSS menu. Always prefer CSS images. 2. Do not install themes include features you will not need. Refine your needs well before choosing. Did you like this article? If so, I'd be thrilled if you leave a little comment there, just below ... Do not hesitate to join us and share your resources! I think you have mentioned all the important points which are responsible for site loading speed, one thing I want to add is responsiveness, for example if your site loading in other devices like cellphones so your site should be responsive otherwise it will take lots of time to load and you will lose visitors if its not loading properly in small devices.